Shelter building is one of the fundamentals of bushcraft. It is often more important for you to find shelter than it is to find food or water. Remember the rule of threes; three hours without shelter, three days without water and three weeks without food. 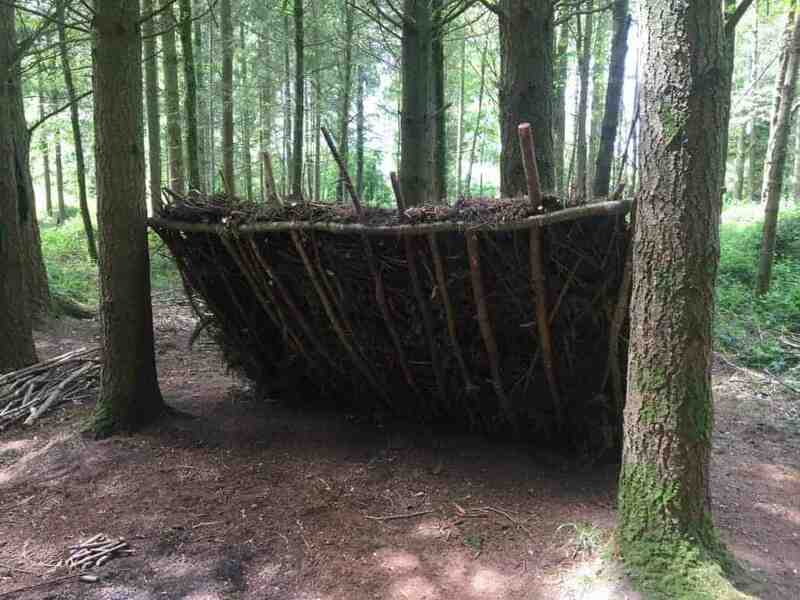 This is obviously an extreme time scale, but it does show the importance of shelter building skills in bushcraft. Read on to learn more about the basics of shelter building. 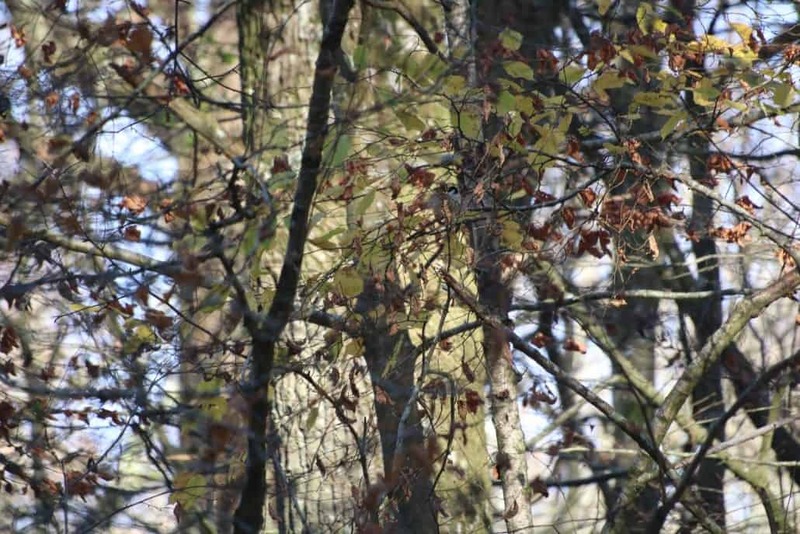 For the sake of this blog, we are going to assume that you are in the woods with good tools and all the kit you should have. 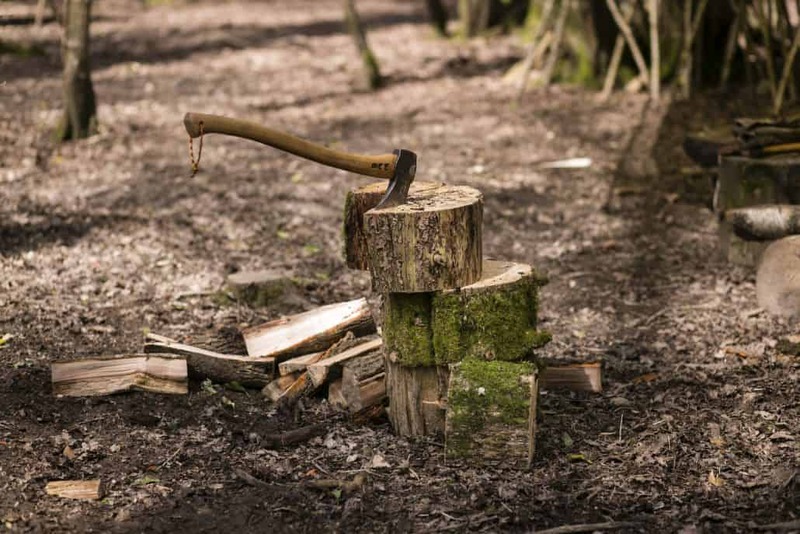 Find out more about our guide to choosing a bushcraft axe here. What does your shelter need to do? The first thing to consider when thinking about building your shelter is to ask, ‘what does it need to do?’. Think about the weather, how long you are likely to be staying in the area, how many people does it need to protect and how long do you have to build it? Asking yourself questions such as these before you start will save you time in the long run. One of the most important considerations, once you’ve determined the purpose of your shelter, is the location. Long term shelters will need to be closer to a source of water than those that are just being used for a night or two. Your shelter also needs to be in close proximity to the materials that you will need to use to build it. Think about it this way, do you really want to be walking to and from to get water and materials or should you not just bring the shelter to the source. The amount of daylight remaining and the amount of energy that you have left will also determine the type of shelter you should build. Late in the day and after a long walk you will want to build the simplist shelter possible. You can always work on it the next day if you are staying there for a while. 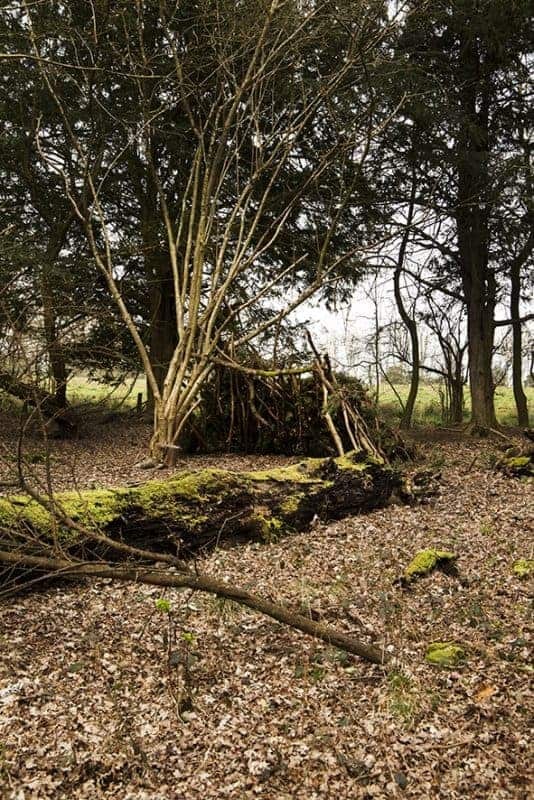 Having chosen the location of your shelter and decided on what type of shelter you are going to build, have a look around at what natural features there are that could help you. Look for fallen tree branches that could make the basis of a lean-to, are there any caves in the vicinity that could shelter you? 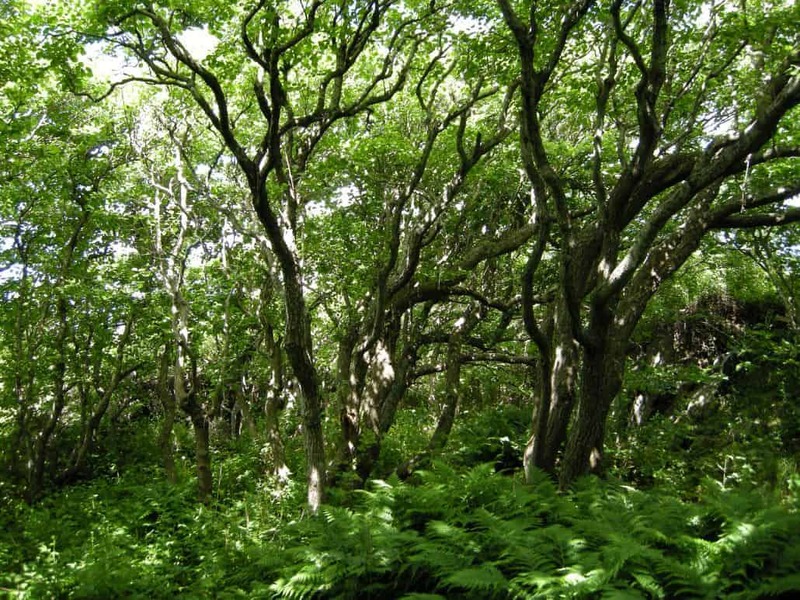 Natural features such as these can save you loads of time and make your shelter incredibly stable. 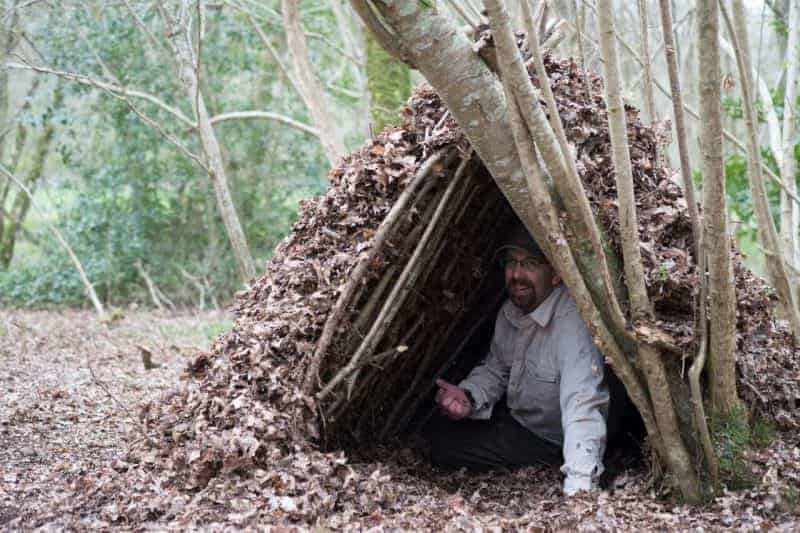 The best way to learn shelter building is to join a course with an experienced bushcraft instructor. 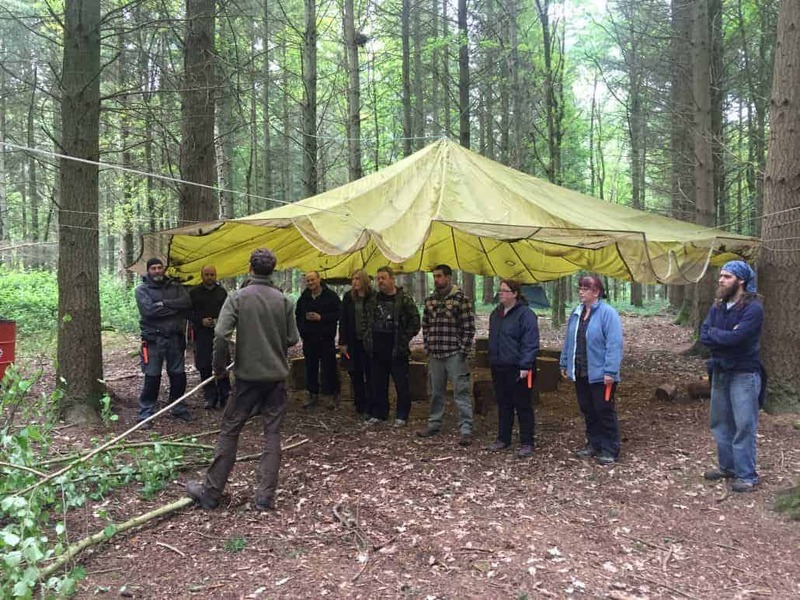 Our Weekend Bushcraft Course is accredited by the IOL and covers all the basics of bushcraft, including shelter building. 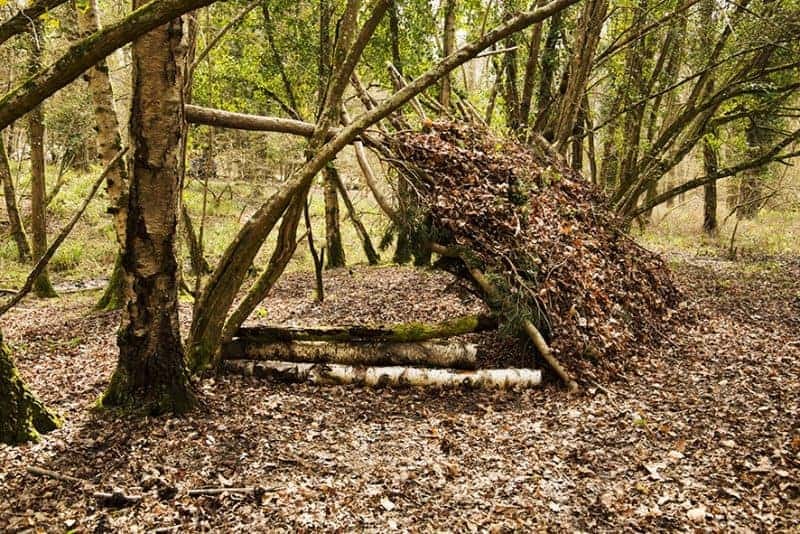 During the course, we will teach you how to build a shelter in the woods and then give you the option of sleeping in it. If you would rather sleep in a tent or under a tarp then you are welcome to! Maximising the effectiveness of your sleeping kit means getting the most warmth out of the lightest set-up. This enables you to sleep out in nature in all seasons and carry less weight, in terms of backpacking this means that you can cover more miles. Maximising your sleeping kit does not, though, mean that you need to spend a fortune on a lightweight sleeping kit. While lightweight backpacking kit is, typically, more expensive by understanding how your current setup works you can get the most warmth out of it without spending any extra money. As always, please feel free to read the whole blog or skip to the section that interests you the most. We will cover the kit that we mention towards the end of our blog but it is not a definitive list, if you’re looking to buy new pieces of kit then it is always best to try it yourself rather than relying on recommendations. Understanding how your sleeping kit works helps you to maximise its warmth. Essentially, your sleeping kit is made up of your sleeping bag and a sleeping mat of some kind, we’re not going to cover tents, tarps or bivvy bags in this blog. We will look at sleeping bags in more detail later in this blog but this section shall focus on the general details. Sleeping mats provide two essential elements of a good night’s sleep – comfort and insulation. Insulation is provided by keeping your sleeping bag, and therefore your body, away from the ground as no matter what the temperature the ground is going to be colder than the air around it and, obviously, colder than your body temperature. These are the typical ‘Karrimat’ style sleeping mat. They are pretty inexpensive and by and large indestructible. They are also very well suited to cold conditions as they do not compress easily. In very cold weather they are best used in combination with a self-inflating or blow up mat. These mats work with a combination of foam inside an air-tight pocket. The valve, when opened, lets air in and inflates the mat. Mats that you blow up work in the same principle but without the valve. When a warm surface, in this case, your body, comes into contact with a colder surface heat is conducted away from the warm surface. So in the case of camping, particularly in colder weather, the ground will slowly take heat away from your body. Mats of all types, closed cell foam mats, self-inflating, blow-up, provide insulation from the ground reducing the speed at which heat is conducted away from your body. Your sleeping bag works by trapping air between your body and the outside world. We will look at how to maximise the warmth of this air later. This trapped air is what keeps you warm, it is for this reason that it is important to look for a sleeping bag that has a good baffle, this is the piece of the sleeping bag inside the hood which can be tightened around your neck to trap the air in. When your sleeping the parts of the sleeping bag under your back and shoulders are compressed. This flattens the fill of the sleeping bag and reduces its effectiveness. This is why the mat underneath you needs to be good enough to keep all parts of your body away from the colder ground. Sleeping bags typically have temperature ratings that are as follows; comfort rating, limit temperature and extreme temperature. The comfort rating is the temperature at which the bag can comfortably be used, the limit temperature is the temperature at which a person can use the bag, in a curled up position without feeling cold. The extreme temperature rating should not be used as a guide when choosing a sleeping bag, as it is the maximum temperature at which the bag can be used without occurring extreme cold injuries, hypothermia or, death. The majority of popular commercial sleeping bags use the EN ISO 23537 system. When it comes to maximising the effectiveness of your sleeping kit it is important to choose the sleeping bag that you need. Sleeping bags that have a lower comfort rating are typically heavier. Therefore you need to balance warmth against weight. If you’re mostly camping out in the UK summers then there is no need to have a bag that goes down to – 22. Wearing a thermal insulating layer in your sleeping bag can help you to keep warm. 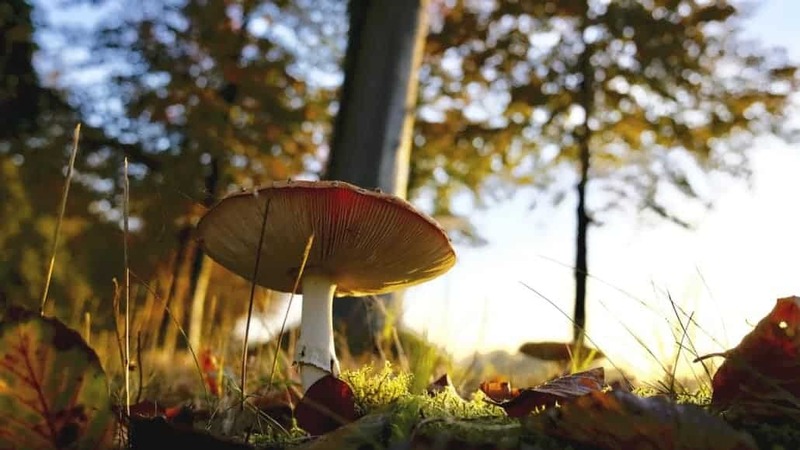 Understanding this enables you to take a lighter and lower rated sleeping bag particularly in the early Spring and Autumn months where the temperature can fluctuate wildly. Don’t wear the clothes that you have been walking in the sleeping bag, they are likely to be damp through sweat and dirt. A dirty sleeping bag is less effective than a clean one. Remember also to protect your extremities, wear socks and gloves to protect your hands and feet. Understanding how your sleeping bag works enables you to use a lighter weight, less warm bag, while still being comfortable. One of the most common misconceptions when it comes to sleeping bags is that they warm you. The reality though is that you warm the air trapped in the sleeping bag, this air in turn is what keeps you warm. Use the baffle of the sleeping bag, the padded part of the bag close to your neck, and the hood of the bag in order to trap the air in. It is important to do this in order not to create a bellows type effect, where the hot air is pushed out and the cold air sucked in. There’s no need to take an actual hot water bottle with you, a metal water bottle can be filled with heated water, placed in a sock and put in your bag before sleeping. If you have the water and the fuel to spare this is an excellent way of keeping the bag warm. If you’re camping somewhere where you can have a campfire then simply fill the bottle with water and place it close to the fire. Ah down vs synthetic, it’s an age old debate. The correct answer, when it comes to which should you choose a down bag or a synthetic bag, is whichever one suits you. 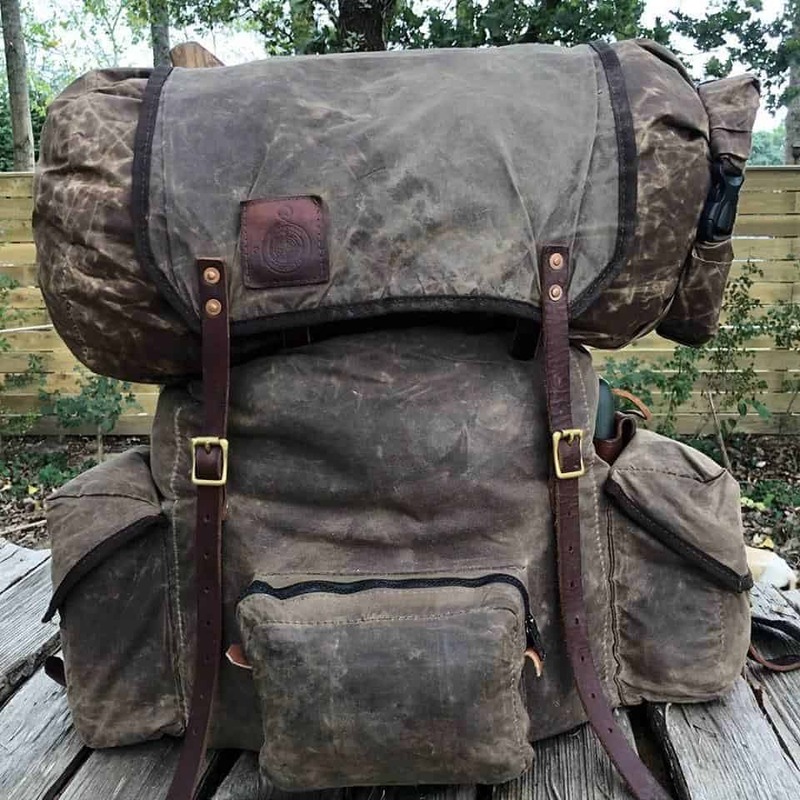 There are some key differences and considerations when it comes to down and synthetic bags which we will explain in the following section (if you’re going for down though make sure that it is ethically sourced). Typically down bags are lighter weight for warmth than synthetic bags. They compress down further than synthetic bags and are typically better at wicking than synthetic bags, therefore making them better in the summer months. The key difference between down and synthetic bags is that synthetic bags are better in damp or wet conditions. When wet or damp down bags will typically lose the majority of their thermal properties, synthetic bags, however, will retain more of their thermal properties. They also tend to be cheaper than down bags. We’ve mentioned some kit above and aren’t going to touch upon it here. When it comes to sleeping kit though it is a matter of personal choice and finding out what works for you. 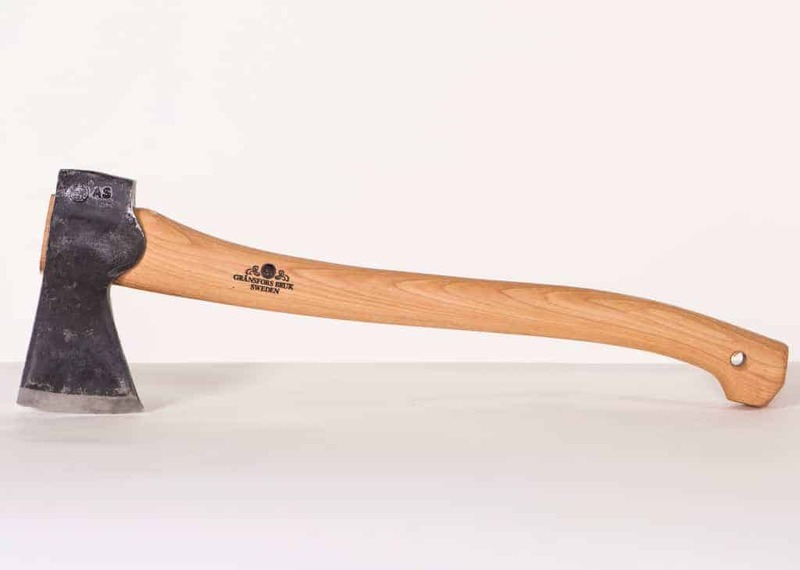 What’s outlined below is a brief run through of our choices of knives, axes and tarps. Use the arrows to navigate between posts. 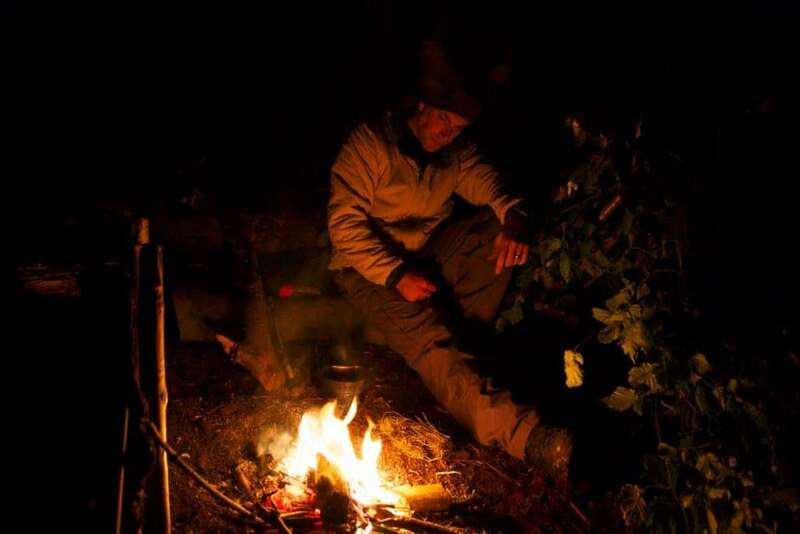 One of the key differences between bushcraft and survival is that bushcraft is about being comfortable in the woods. Working and living in harmony with nature, rather than trying to overcome it. Part of this involves the creation of shelters for more long-term, or intermediate-term, living in the woods. 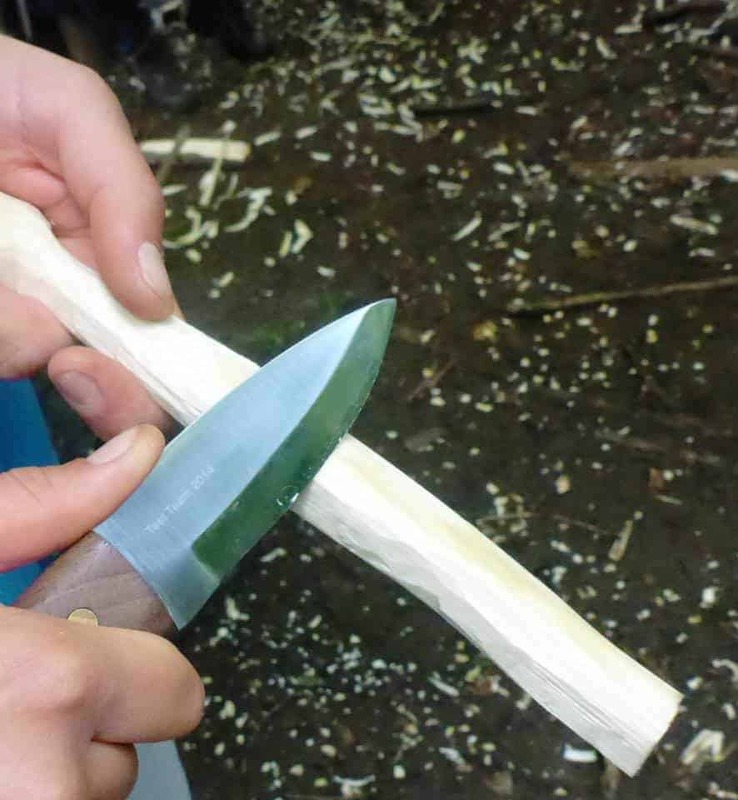 This blog is based on some of the skills that will be covered in our intermediate bushcraft course. As always, feel free to read the whole blog or skip to the section that interests you the most. Provided that you have some form of temporary shelter established then you and your group can look at building a more semi-permanent structure. This will enable you to live out in the woods for a longer period and in more comfort. While the following considerations, location, hygiene, etc. should always be considered they become of critical importance when staying in the woods for more than a weekend. It should also be said that you need to consider your priorities when building a longer-term shelter. Having constructed a temporary shelter, sourced water and started a fire you can then start thinking about building a more permanent structure (provided that your food is covered). 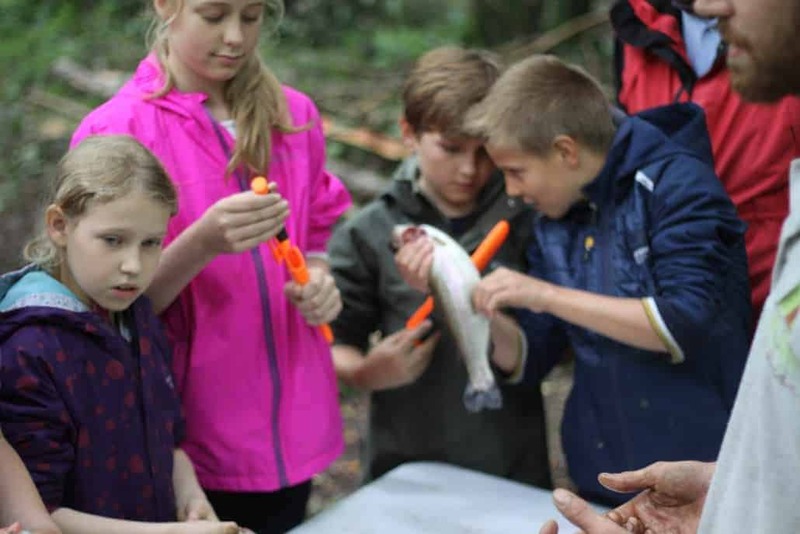 Don’t rush into building a long-term bushcraft shelter until these priorities have been met. Doing so will only burn unnecessary calories and exhaust you and your team. 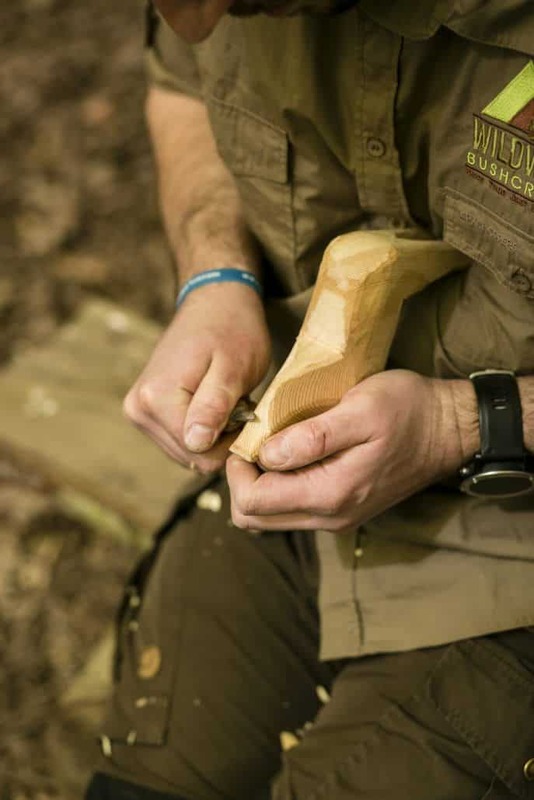 Remember though, the only way that you can really learn and improve your bushcraft skills is by attending a bushcraft course. 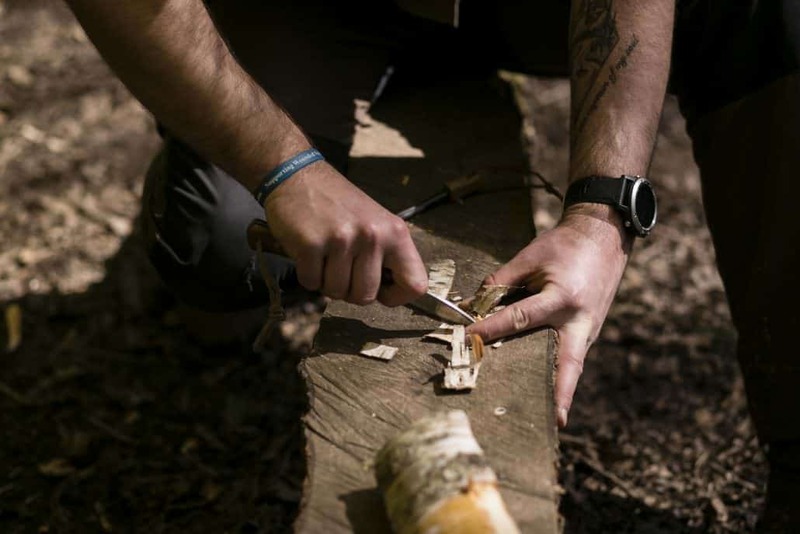 Take a look at our bushcraft courses here, or click the link below to book your space on our intermediate bushcraft course. As with building any type of shelter, building a long-term shelter begins with choosing a good location. 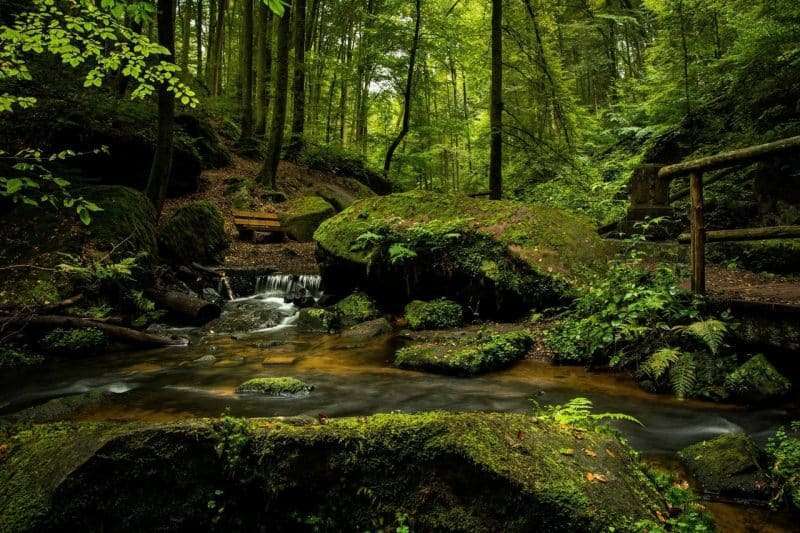 This should not only be somewhere where materials are abundant, the ground is free from plants that could cause irritants, such as Giant Hogweed, and the key to long-term bushcraft shelter building, close to a source of water. 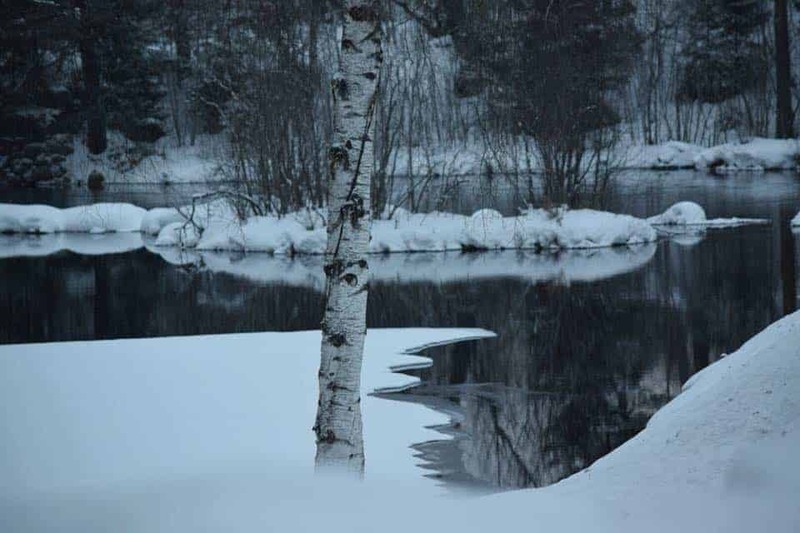 With a temporary one-night or weekend shelter, you may be able to carry in the water that you need for the duration of the trip you are extremely unlikely to be able to do the same when staying in the woods for a week. We’re going to look at more of these in detail in the following sections. It is best to build your shelter as close to a source of water as possible, without putting your shelter in danger of flooding. You will want to be within easy access of water as it is likely that you will need to make the trip to your source of water at least once a day. Be aware of building your shelter on tracks and paths used by animals to access water. 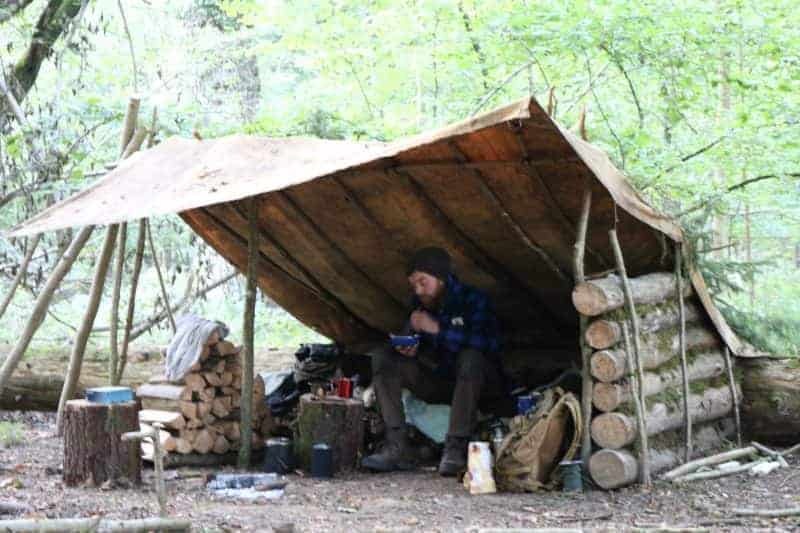 You should look to build your long-term bushcraft shelter where there is an abundance of building materials and firewood. The amount of material needed will be dependent upon the number of people in your group and the type of shelter that you are looking to build. A group lean-to for five occupants would obviously require more materials than, say, a simple tripod structure. 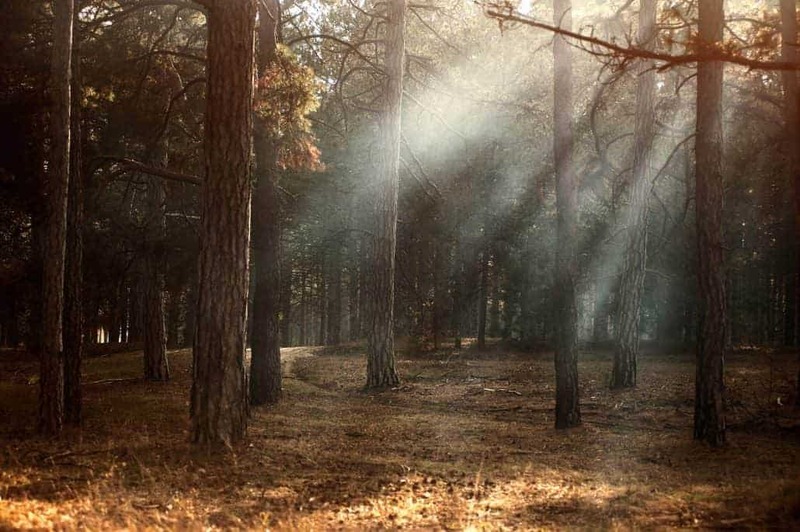 The sun can provide warmth and light, great for morale when living in the woods for an intermediate period of time. 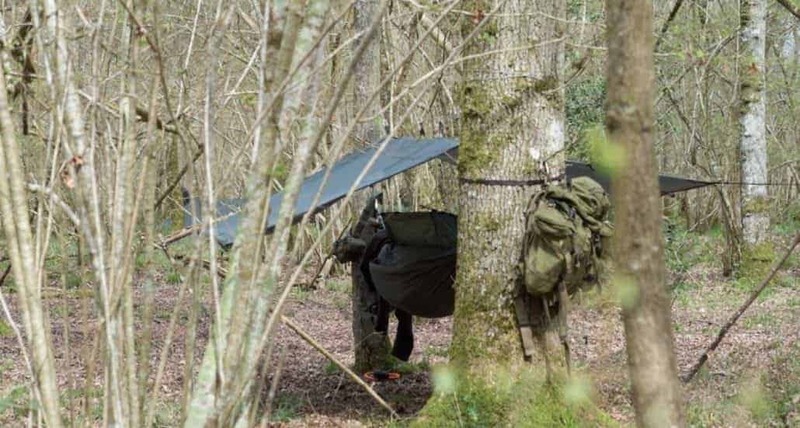 Be sure to try and locate your long-term bushcraft shelter in a position that either shades you from the sun, useful in summer, or maximises your exposure to it, useful in winter. Look at the trees in the surrounding area. The way that they are growing can help to give you an idea of the prevalent wind direction. You will want to build your shelter in a position that is out of the wind and ideally has the prevalent wind direction passing across (e.g. not into or behind) the front of your shelter. This will help to keep the smoke from your fire out of your shelter will ensuring that you benefit from the fire’s heat, it will also help you to minimise draft. 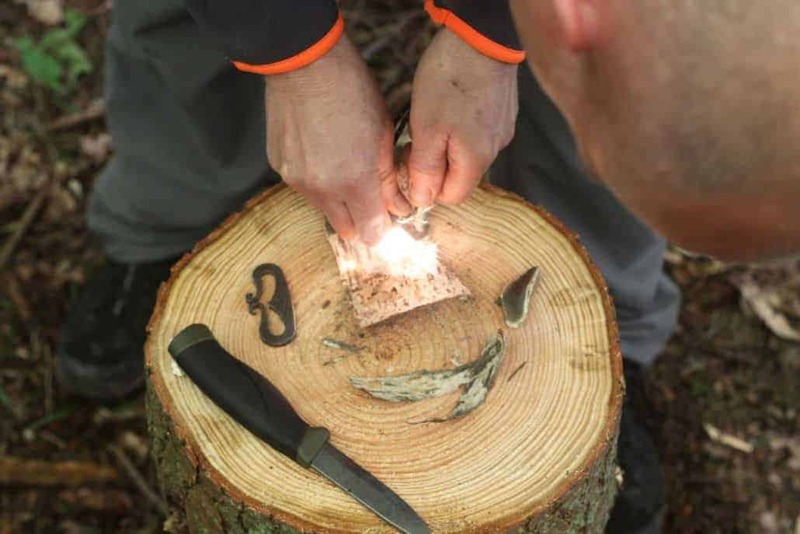 Hygiene is a hugely important and often overlooked aspect of bushcraft. 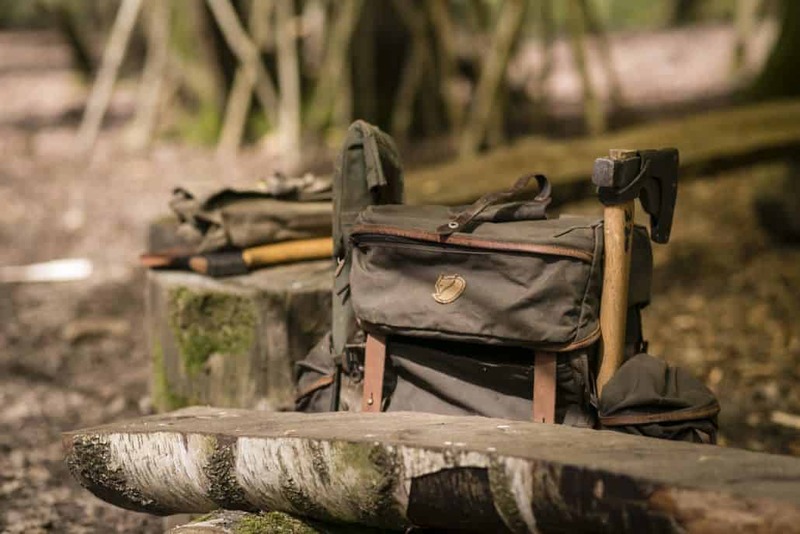 Keeping your camp clean and organised is key to avoiding upset stomachs, contaminated food and, in a worse case scenario, the spread of disease. 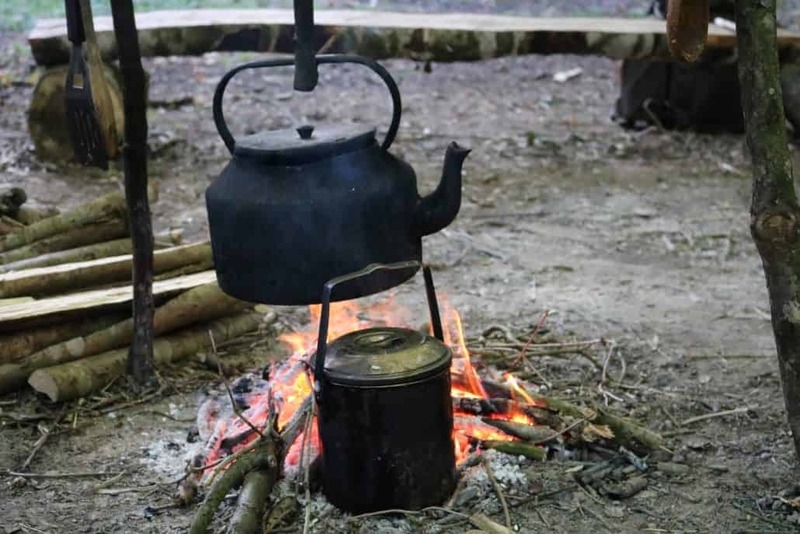 We look at organisation in bushcraft, particularly in terms of food, fire, and hygiene in our blog here. When building a long-term bushcraft shelter it is very important to consider toilet arrangements, this is particularly true if in a large group. Latrines should be dug far away from the camp and dug deep. Toilet paper should be burned or carried out with you. Be sure not to burn your toilet paper on the communal fire but instead burn it by the latrine and carry a Bic lighter or similar with you for this express purpose. Keeping clean in the woods can be vital for boosting morale. When on a backpacking trip it is also vital to keep your feet in tip-top condition. A daily washing routine, downstream from where you source your water, can do wonders for lifting the spirits. 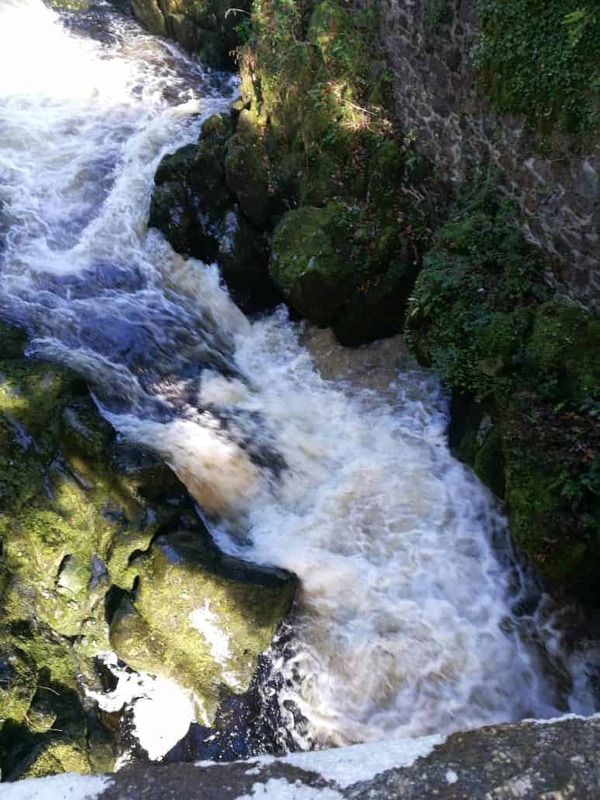 Be aware though that even natural shampoos can upset the delicate balance of the river so avoid them if possible. The type of fire that you will need will be dictated by the type of shelter that you have built. A large group lean-to for five or so people will require a different fire to a lean-to or tripod structure for a single person. Fuel should be in abundance, something that you will have ensured when choosing the location of your bushcraft shelter. 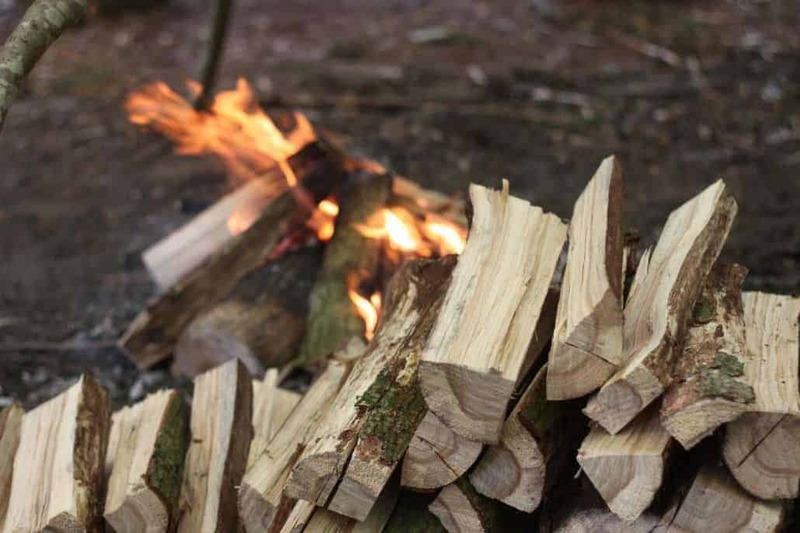 Firewood should have been collected and stored in your temporary shelter before you start work on your long-term structure. This will stop you having to collect it at the end of the day when you’re tired and the light is fading. 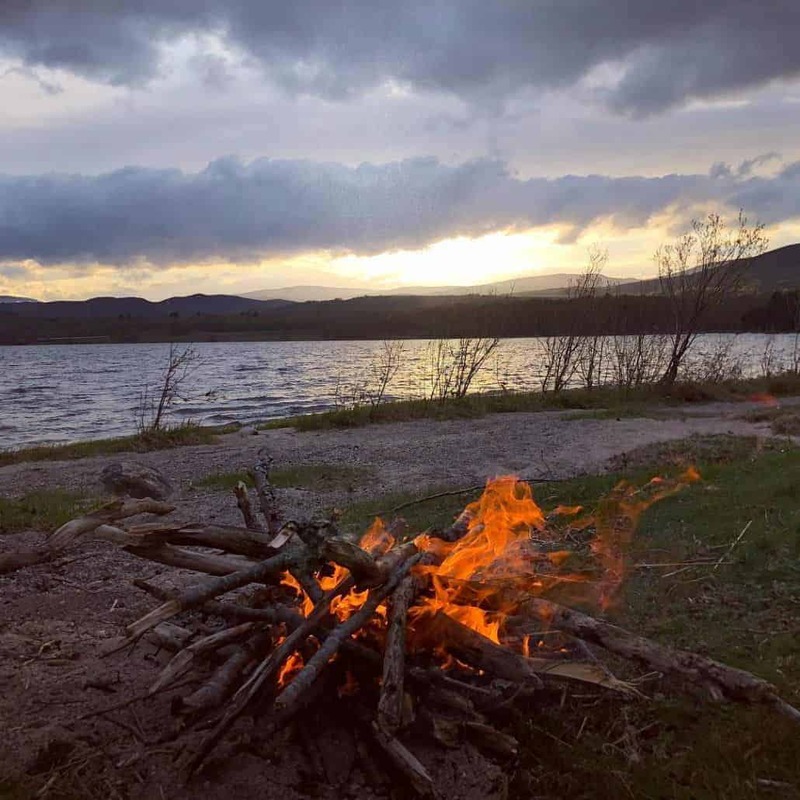 The decision to keep the fire going throughout the day and night, perhaps working in shifts to do so, or to relight it every morning and/or evening is often down to how easy it is to light. 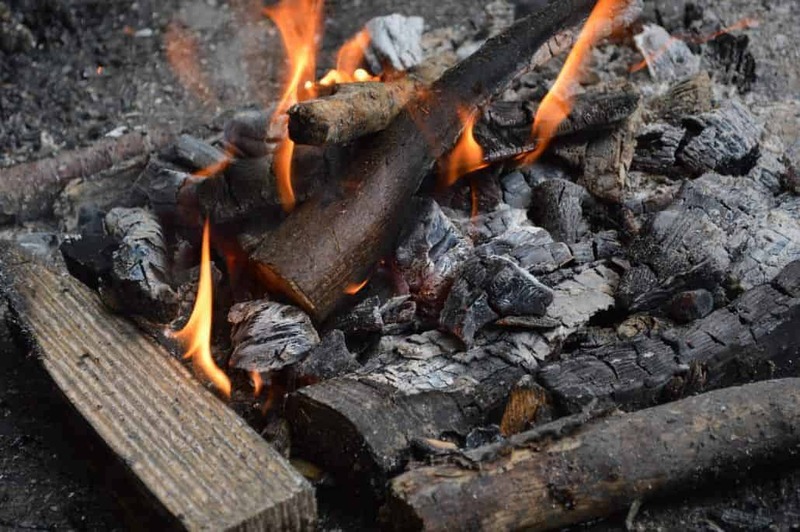 If you’re able to ignite the fire using a fire steel and, say, birch bark, cotton wool or such materials then perhaps you would choose to regularly relight your fire. 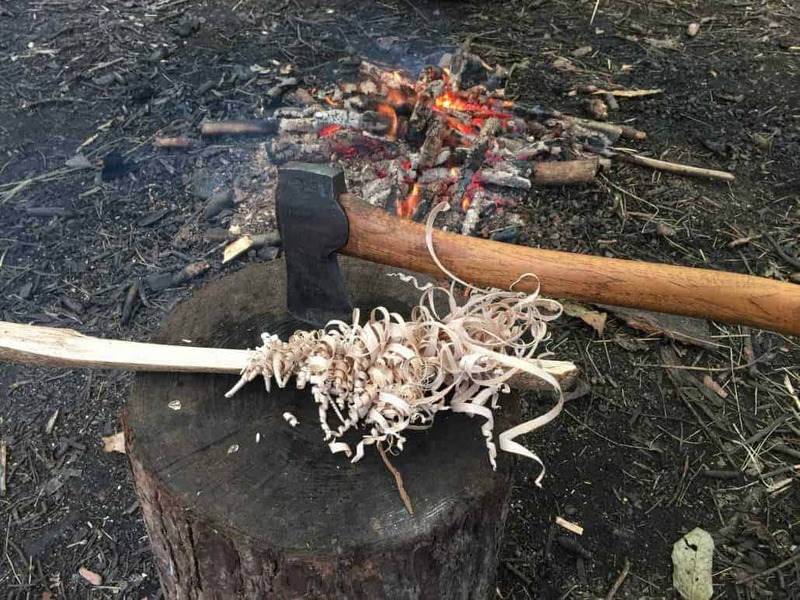 On the other hand, if you were forced by circumstances to light your fire using a bow drill, a method which can be highly energy intensive then it might be a better idea to save your strength and ensure that your fire remains alight. 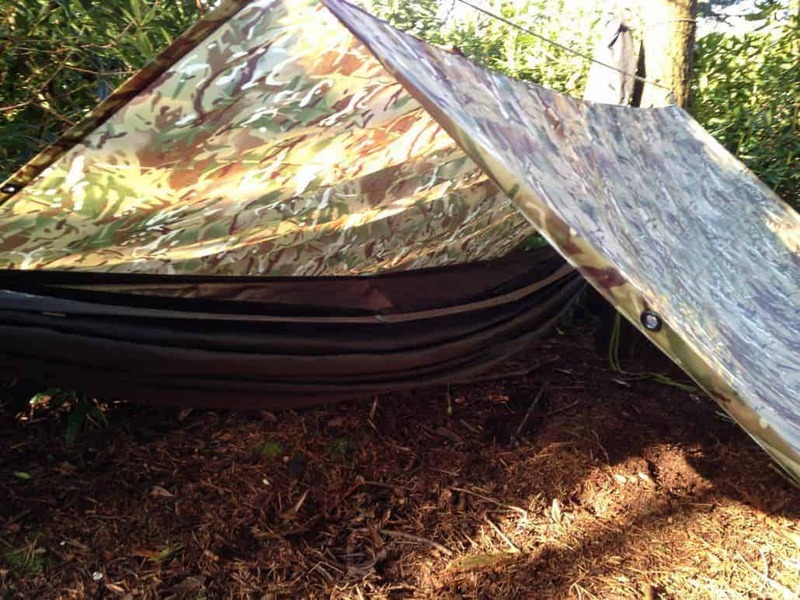 There are a few key pieces of kit that you will need for building a long-term bushcraft shelter. These are outlined below, remember though, you need to choose the kit that suits your purposes and abilities. 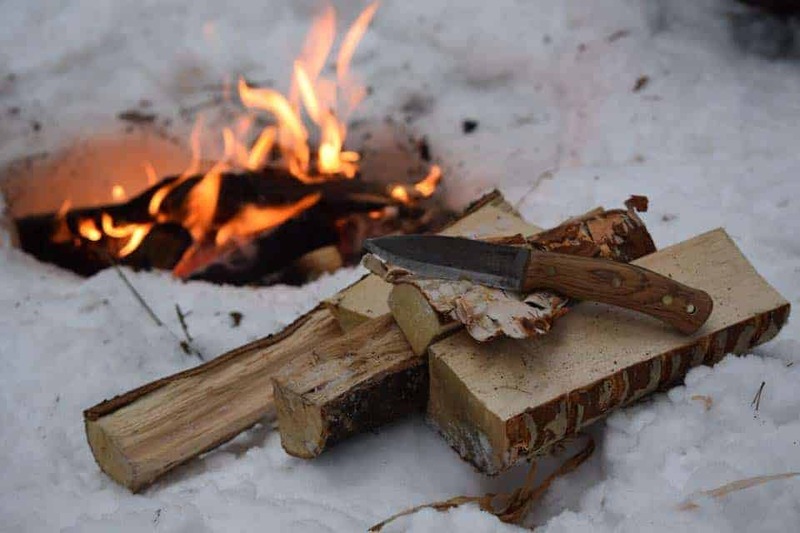 A small axe, such as the Gransfors Bruk’s Small Forest Axe is indispensable for building a long-term bushcraft shelter. 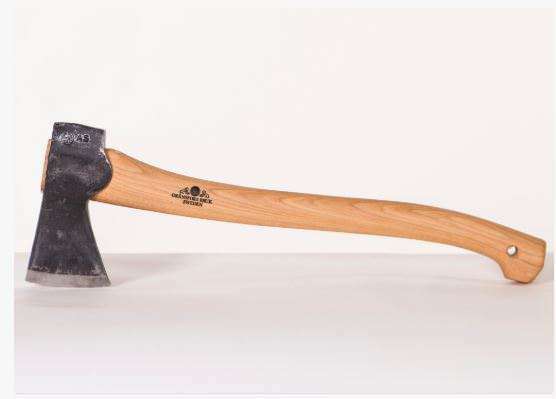 These axes weigh about 900 grams and have a handle length just shy of 49cm.